Just in time for Valentine’s Day, Monique Lhuillier will be launching her new XO collection line of diamonds set in white gold and her “My Favorite Things” home collection with Waterford. So if you are looking for the perfect gift to give your bride on your wedding day (besides your heart, of course) may these inspire you. With any of these…someone will be a very happy Valentine Bride. With Valentine’s Day just around the corner, give your love a “timely” gift with festive pink and white timepieces from Baby-G! Let’s face it…nothing says “I Love You” more than being on time…and that goes for your bridesmaids too!! These shock and water resistant watches comes in a variety of vibrant styles all available at a great price range of $79 – $160! If your date is a fitness junkie or colorful fashionista, these watches are the ideal do-it all accessory! The name TEN THOUSAND THINGS (TTT) is taken from a line of ancient Chinese philosophy: “from one thing begets the ten thousand things.” This principle of infinite creativity and constant evolution guides designers David Rees and Ron Anderson, who have been at the helm since it’s inception for over 20 years. 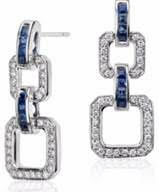 Each TTT piece has the integrity of antique jewelry but is distinctly modern: both organic and refined. Materials include rare American pearls from the Mississippi River, unusual sapphire cabochons in beautiful colors, black opals and diamonds, both brilliant white and unusual colors. A signature technique is delicate gold or silver beading on chain as necklaces and earrings. TTT’s latest innovations have come from exploring abstract shapes inspired by nature and making compositions of these shapes into strikingly original earrings and pendants and bracelets. 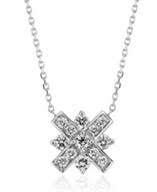 Baroni Jewelry, creating beautiful adornments testifying to the spirit of the wearer, is delighted to present new jewelry for fall and winter brides and wedding parties. The always classic pearl joins a range of gemstones that add the perfect touch of color to the wedding theme. 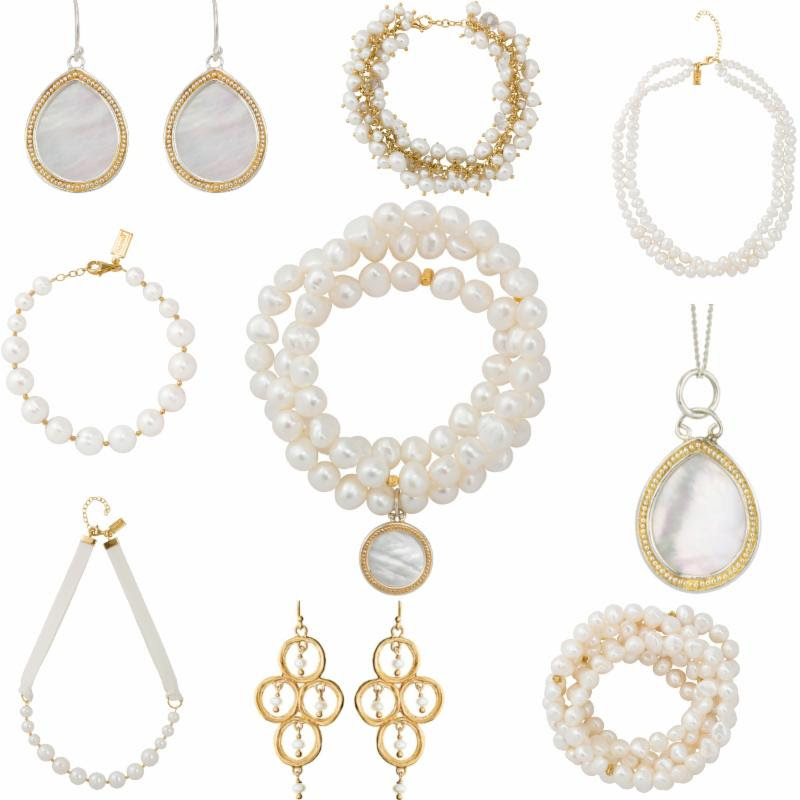 Mother of Pearl, simple pearls, and graduated classic and baroque freshwater pearls are featured in numerous styles of earrings, necklaces, bracelets, and rings in both silver, gold, and mixed metal settings. 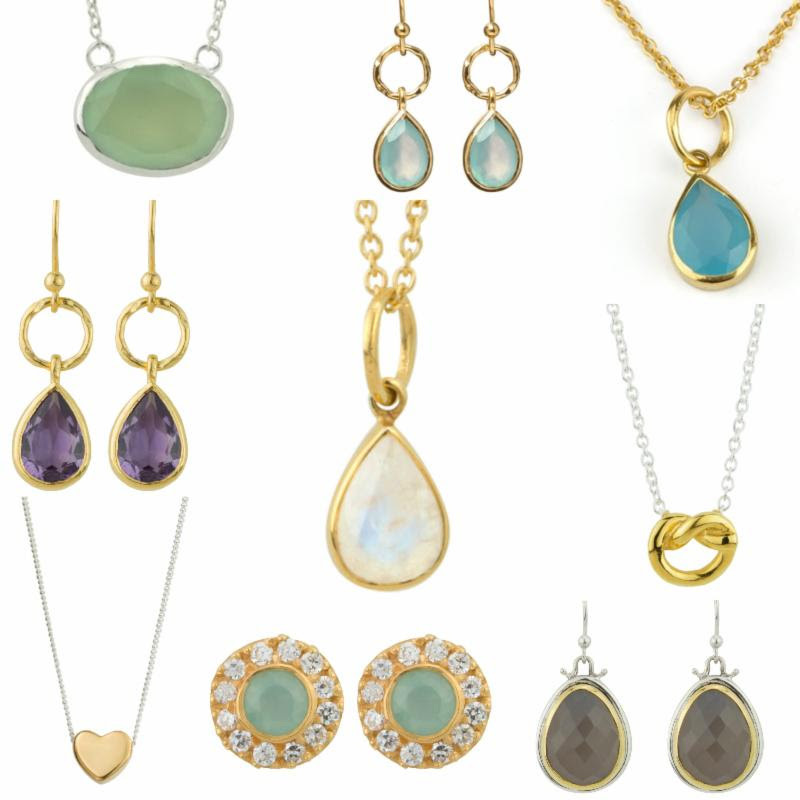 Gemstone jewelry featuring aqua and sky blue chalcedony, grey onyx, moonstone, amethyst, blue-green Chinese turquoise, amazonite, and aquamarine provide an assortment of colors that complement a number of wedding styles, from less-is-more to bold, vibrant, and colorful. I love great pieces of jewelry and Robert Lee Morris is one of my favorite designers. How lucky are you that he is making appearances at Henri Bendel and his Soho Store. Robert Lee Morris will be appearing at Henri Bendel in NYC, on Wednesday, October 10th and at his SoHo store on Thursday, October 11th. Showcasing his fall collection, there are some amazing pieces that compliment his sleek and sculptural style. Robert’s designs have graced the covers of Vogue, he has partnered with top tier designers Donna Karan and Michael Kors, and dressed celebrities such as Rihanna, Fergie, Alicia Keys and Natalie Portman. Now you can have pieces for yourself and if you dare….your bridesmaids too. So stop by on Wednesday or Thursday and meet Robert and be blown away by his unique style. Design Hype has created a metro cuff series that I’m loving. These stainless steel cuffs help locals and tourists alike navigate the subway system in a way that is so cool. You literally check out the cuff, just like you would a watch. What a great gift to your wedding guests especially for a destination wedding. They Have NYC, Paris, London, Milan and Chicago is being worked on as we type. You know that cuffs are haute fashion now and this is just another fashionable statement. At least no one will be able to say they got lost.